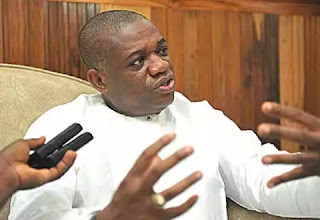 Former Abia state Governor, Orji Uzor Kalu, has challenged the Economic and Financial Crimes Commission (EFCC), to arrest former president, Olusegun Obasanjo, for allegedly embezzling $16billion meant for the power sector. Kalu stated this, while speaking to journalists, on arrival at a private hangar at the Murtala Muhammed International Airport in Lagos on Wednesday. According to him, Obasanjo wants to control every sitting president and remain relevant for life. “He brought corruption to government in 1999, Atiku who is good now, was bad to him before. “No one is good to Obasanjo. He wants to remain relevant for life, this is his character. “This same Obasanjo squandered over $16 billion on the power sector .